After a fantastic start to the 2013 race season I had every athletes worst nightmare, an injury. The early season was hectic and I did weeks and weeks of back to back races, some tough distances including several 15-25km distance races and short sprint races too. Somewhere along the line I think it tweaked something and stupidly paddled on. A lesson hard learnt. Years ago I was diagnosed with a joint condition a little like arthritis, where my joints particularly my sacroiliac joint, is prone to inflammation. I was on strong antiinflamatories, steroids, you name it, pill popping 8-10 different meds a day to try and ease the symptoms (excruciating pain and incapacity!!) after helping out on some drug trials for the Nhs and in line with huge changes in my approach to life, diet, nutrition, I went cold turkey and totally dropped the meds. (My specialists exact words were “you’re crazy”) but for 18 months or more things were great, no issues and my training was going really well. Then back to the early part of the season, I think I over extended at some point, pulling the SI joint apart and triggering the inflammation process. It got ridiculous. My last race was a gruelling team race of 26kms in July. We won, but at a severe cost. That was the last time I stepped on a sup for 5 long months! For several days I could barely walk. On a couple of occasions getting stuck on my lounge floor in the evening… Not fun. So despite physio, specialists, mri’s, massage, nothing really helped. With a bit of pain relief I managed to get paddling my outrigger, sitting down didn’t seem so bad, so that at least meant I could keep getting out on the ocean, paddle, keep fit. So time ticked by until November 2013 before I felt I could try and paddle a sup again. Gradually bit by bit I took some easy sessions and managed to get paddling again. This time conscious of any pain or discomfort. By December I was back to normal training. The winter base training was in full swing, fortunately a mild winter meant long steady state paddles were possible without freezing too bad, although some heavy flooding meant the river was pretty sketchy with strong currents caucusing a few un characteristic swims! Well the main point is listen to your body, if it’s telling you there’s to thing wrong do not ignore it, the tiny compromise of missing a race mid season will pay back ten fold by keeping you paddling all year. The time out of racing was actually quite nice, it showed me how burnt out I was how I’d lost a bit of the fun side to the sport. I had all become about competition. This year will be different, I have hand picked only a few top races to attend, specific races and locations I like. I’m going to mix in a few OC races too as there’s an opportunity to represent Great Britain at the Va’a world sprints in rio come august 2014. I know what I need to do in training this year, my plan is more strategic and my aim is to keep having fun & not get too caught up in the competitive side of things. 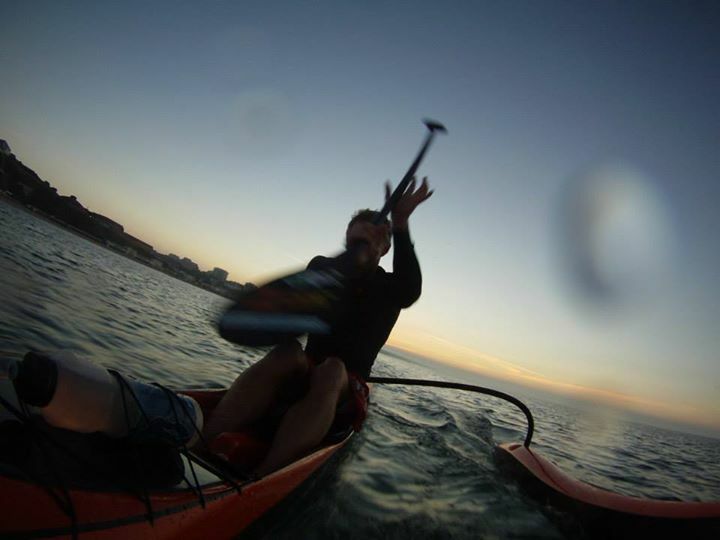 Enjoy my time on the water, after all that’s why I started paddling!